Rohan, the well- known outdoor clothing brand, gave its merchandising strategy a digital spin using digitalsignage.NET to control digital displays at the Point Of Sale. The screens have the goal of immersing the customers into the brand’s world and creating a memorable in-store experience that would convince to come back again and again. As they work directly with end- customers, they needed a tool that enabled them to educate them about the brand and the products while in-store. 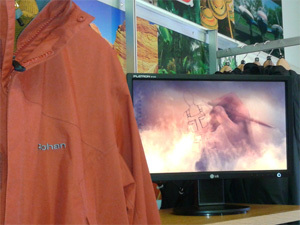 The dynamic messages delivered by digitalsignage.NET support shop-floor staff in the highly consultative sale of Rohan clothing and allow the brand to put its products in context. digitalsignage.NET allowed Rohan to use higher- resolution versions of the videos used on its website that show how the products are used in various places around the world, how they look like on and what their main functions are. By doing so, they kept costs down and the amount of work involved at a minimum. The new media solution can now be seen in Rohan stores from Salisbury, Guildford and Bristol. Listen to what Rohan’s chairman and the IT infrastructure manager have to say about the system and digitalsignage.NET. This entry was posted in and tagged corporate digital signage, digital signage advertising, retail digital signage by Dynamax. Bookmark the permalink.